©2019 Green Matters. All rights reserved. Tesla has arguably been the world’s biggest leader in the electric vehicle movement. Leading up to the announcement of their new mass-market Model 3, it’s been easy to lose track of the competition. While Tesla has the prestige, recent field tests show that we should be taking as hard of a look at Chevy’s recent EV. Range estimates are based on ideal driving conditions. It’s the easiest way to market these vehicles with the best range available, but owners will definitely see lower performance based on those numbers. This happens with many other battery-operated devices such as laptops and cellphones that estimate more hours of usage than it delivers. In a range test operated by Consumer Reports, this held true with Tesla’s Model S 75D. It has an EPA estimate of 259 miles and delivered at 235 miles, which was higher than the Model X 90D also tested (230 miles achieved versus 257 miles estimated). 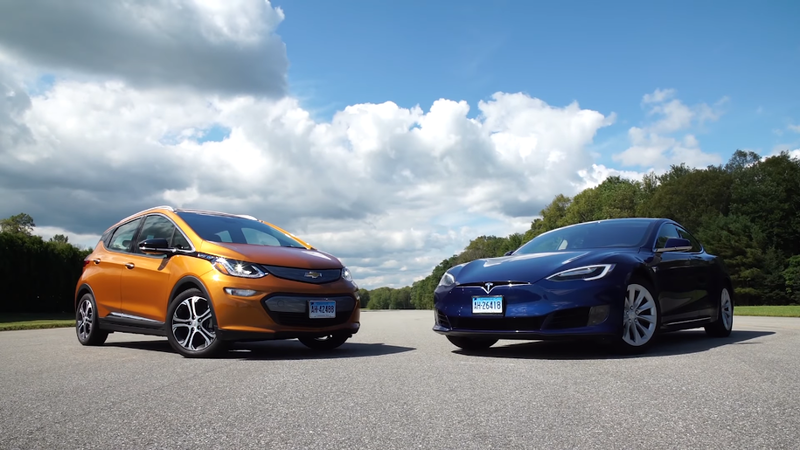 However, the opposite happened with the 2018 Chevy Bolt. With an EPA estimate of 238 miles, the vehicle actually reached 250 miles -- that's a new EV range record for the review company. These driving tests are done at the Consumer Reports’ Auto Test Center in Connecticut. The field checks in at 327 acres and it usually sees a select 60 cars annually. These vehicles are thoroughly tested with thousands of miles logged. Different obstacles on the course give the ability for the company to test everything from acceleration, braking, comfort, safety features, off-road capability, and much more, including to see how accurate EPA measures are. With these tests, consumers get an inside look at how a vehicle operates after some wear-and-tear and when it’s used during everyday activities such as going to work or running errands. Even though the 2018 Bolt takes the crown in range, the Model S 75D takes the overall victory. The former vehicle still checks in at second place. Consumer Reports hasn’t yet tested higher-end Tesla vehicles like the Model X 100D, which would probably have more range. However, those luxury options are much more pricey than the new Bolt. In fact, Chevy’s EV has a retail price of $36,620 while the Model S 75D begins at $74,500. Perhaps the Bolt being an impressive package at under $40,000 is why Tesla has been going all in on the Model 3, which starts at $35,000. In order to reach the casual market, they’ll need to have more appealing options in this price range. These test results are also an eye opener to other products on the market. 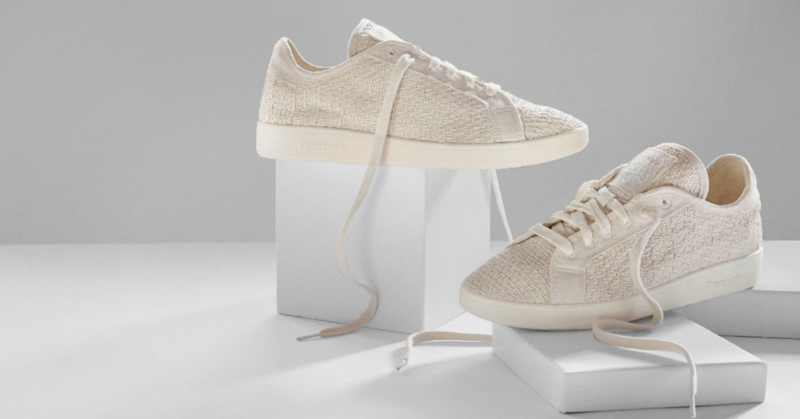 The low-impact shoes are even more eco-friendly now. Listen to "Earth," the new song that can not only motivate you about climate action, but also show you what it would be like if Ariana Granda was a zebra. 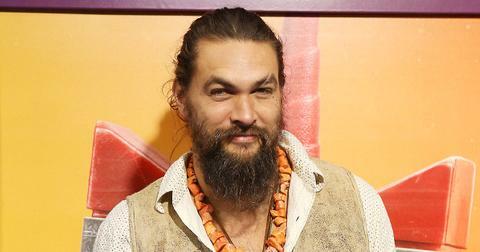 Khal Drogo no more — Jason Momoa shaved his signature beard in an effort to get you to rethink plastics. 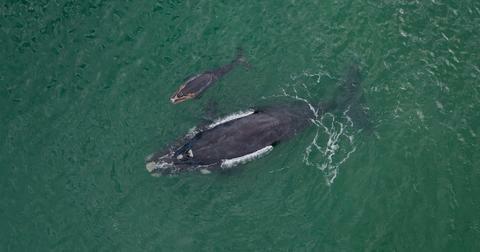 The right whale population is finally growing again.